The Drug Free Fayette Coalition is driven by the combined efforts of 25 Fayette County community leaders. Members of the coalition represent 12 distinct sectors of the community as shown in the graphic at left. Photos and bios of all Coalition members are provided below. Pam has been a business executive and strategist for 28 years. This past April began her 7 th year as Executive Director of AVPRIDE, where she leads the organization in its mission to grow, develop and open doors for the young people in Fayette County. 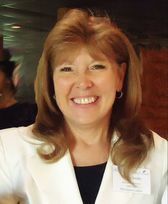 Pam is a Fellow Rotarian; the Vice Chair for Fayette Visioning; and Scholarship Chair for the McIntosh Chapter of the American Business Women’s Association. Pam is married to her high school sweetheart and together they have 3 children. Alana is a senior at Whitewater High School. She is the Vice President of Chapter Events for HOSA. She is also the Director of Communications for the Class of 2018. Alana is involved in several different clubs at her school, and enjoys volunteering at Piedmont Fayette Hospital. Alana is very involved in the community and was featured in Fayette Woman magazine. Alana plans to become an oncologist. Elena is a senior at Starr’s Mill High School. She is a member of National Beta Club, student government, and the school tennis team. She received the Positive Athlete award and attended the Hugh O’Brien Youth Leadership seminar. She is the president of National Spanish Honors Society. Elena is passionate about raising awareness and funds for CURE Childhood Cancer, which sparked her interest in pediatric oncology. She is thrilled to be back at AVPRIDE’s FYLP program! Kelly is a junior at Whitewater High School. She is a member of Beta Club, Spanish National Honors Society, Orchestra, the Whitewater swim team, and the Drug Free Fayette coalition. Kelly enjoys expanding her multicultural background and bilingual nature. Kelly has enjoyed meeting new people with different backgrounds as part of the FYLP program. She hopes to attend Georgia Tech University and become a civil engineer. Meredith is a senior at Sandy Creek High School. She serves as the Treasure of the Interact Club, and is an active member of the Beta Club, Future Business Leaders of America, SkillsUSA and the AVPRIDE FYLP program. Her hobbies include swimming on the varsity swim team at her school, and serving as a small group leader for kindergarteners and 1st graders at her church. Rheanna is a Senior at Fayette County High School. She is 16 years old and has lived in Fayette County for four years. She is a member of Junior ROTC and the Rifle Team. She became a member of the Drug Free Fayette coalition addressing youth substance abuse. She enjoys reading, working on her public speaking skills, and aspires to be a cardiologist. Sasha is a sophomore at McIntosh High School. She is a member of the National Spanish Honor Society, Beta Club, cheerleading team, and Advanced Women’s Choir. Her long term goal is to become a veterinarian. Sasha works as an assistant cheer coach for young girls. She wants to help the youth of Fayette County find positive outlets, like the FYLP program, rather than using drugs and alcohol. Chuck is a counselor well-versed in all treatment modalities to assist clients with any psychological/emotional issues. With children and youth who are oppositional, the primary treatment approach is assisting parents with more effective parenting approaches, and specifically, applying behavioral methodology. He is also a certified substance abuse counselor (CDAC-II), and a therapist certified in clinical sexual offender's treatment (CCOTS). Chuck has worked in Fayette County for 6 years. Steve is Human Resources Manager at TDK Components USA. He began his career in education and spent several years as a college instructor in Japan. After returning to the U.S. his passion for working with people, education and cross-cultural understanding led him to pursue a career in human resources. He has worked closely with educational institutions and has been involved in several state and local initiatives relating to workforce training and development. Chris is a lifelong resident of Fayette County. A 2001 graduate of McIntosh High School and later, Georgia State, he started writing for the Fayette County News and Today in Peachtree City in 2009. He has been the Managing Editor since 2015. ​Mike Boylan has been a resident of Fayette County for 25 years. He worked for 14 years at The Citizen newspaper and is currently the communications specialist at Piedmont Fayette Hospital. Mike has been involved with numerous local organizations including Young Professionals of Fayette County, Southside Theatre Guild, Bloom, and Clothes Less Traveled Thrift Shop. His is invested in the growth and strength of Fayette County. Kim has served Fayette County Schools as a social worker for 16 years and has lived in Fayette County since 1999. She holds a B.Mus. in Music Therapy, an MSW, and an Ed. S. in Leadership. Kim is Co-Chair of two Fayette interagency committees: CHINS and L.I.P.T. As a Certified Facilitator for "Darkness-to-Light's" Child Sexual Abuse Prevention Training, she has trained over 500 Fayette employees, and has been twice honored as FSCA's Advocate of the Year. Mike is in his first year as the Assistant Superintendent of Operations for Fayette County Schools. He is a 22-year veteran educator with experience as a teacher, assistant principal, principal, and assistant superintendent. Mike is married to Susan Sanders who is also an educator. They have three children, Lauren (19), Justin (17), and Cole (13). Lauren is a sophomore at LaGrange College. Justin will be a junior and Cole will be an 8th grader in the Fayette County School System. Ted is the Coordinator for Safety, Athletes & Discipline for Fayette County Schools. A resident of Fayette County since 1993, he is a 23-year educator after 20 years as a combat arms Army Officer. He has taught at the elementary, middle school, and college levels and has been a high school assistant principal and middle school principal in Fayette County for 14 years. He has been married to retired educator, Linda Lombard, for 38 years and has three adult children and three grandchildren. Raymonde has lived in Fayette County for 9 years with his wife, Leslie, and their 2 children. He enjoys working and partnering with various organizations to help create a better Fayette County. He is actively involved with FAYMA, Fayette Visioning Initiative, Fayette Chamber and coordinates the Annual Christian Music Festival in Fayette County. He is currently serving on staff with FCA (Fellowship of Christian Athletes) as an Area Representative/Director of Community. Joshua spent 22 years as a resident of Fayette County, graduating from Fayette County High School and later from Georgia Southern University. Joshua has been employed with the Fayetteville Police Department since 2013 and was selected to take over the Juvenile Detective position in 2017. Joshua’s goals are to serve the community to the fullest and keep the county a safe place to reside. Ken has been in state law enforcement since 1999 and is employed by the Department of Community Supervision as a task force officer. He has been assigned to the Drug Enforcement Administration since 2013 and is attached to the DEA’s Tactical Diversion Squad, which focuses exclusively on crimes involving the diversion of prescription medication. He has been a Fayette County resident since 2008, and is dedicated to doing everything possible to stop the opioid epidemic that is ravaging our country. Matt is the Commander of the Criminal Investigations Division for the Peachtree City Police Department and a widely recognized expert on drugs and human performance impairment. He is a graduate of the Robert F. Borkenstein Course on The Effects of Drugs on Human Performance at the Chemical Heritage Foundation in Philadelphia, and has provided expert testimony before numerous courts and the Georgia Senate. Matt has worked in Fayette County for 21 years, 13 with the Peachtree City Police Department. Sarah is a Deputy with the Fayette County Sheriff’s Office, currently assigned to the Patrol Division. She has been employed in the public safety field since 2010, first working as a Firefighter/EMT. Sarah began her law enforcement career in 2013 at the Fayette County Sheriff's Office working in the Jail Division. Since coming to patrol in 2016, she has become an instructor and is currently serving as a handler on the K-9 Bloodhound team. Catherine is a local trail attorney who has lived in Fayette County for 25 years. She has three children: Austin (23), Sarah (11), and Andrea (10). Catherine has been involved in a number of community service organizations, including AVPRIDE, Promise Place, Southern Conservation Trust, the YMCA, and the Rotary Club of Peachtree City. Catherine's passion is to make a positive impact on the community. Phil is a local business owner who has lived in Peachtree City since 1991. He presently serves on Peachtree City Council, Post 1. Phil is married to his wife Lali and together they have three children. They attend Southside Church. Phil graduated from Georgia State University with a Business degree in Marketing. He hopes that his actions inspire others to get involved in keeping Fayette County a great place to live, work, and play.